Note: I received a free review copy of Cursed Court from Atlas Games. 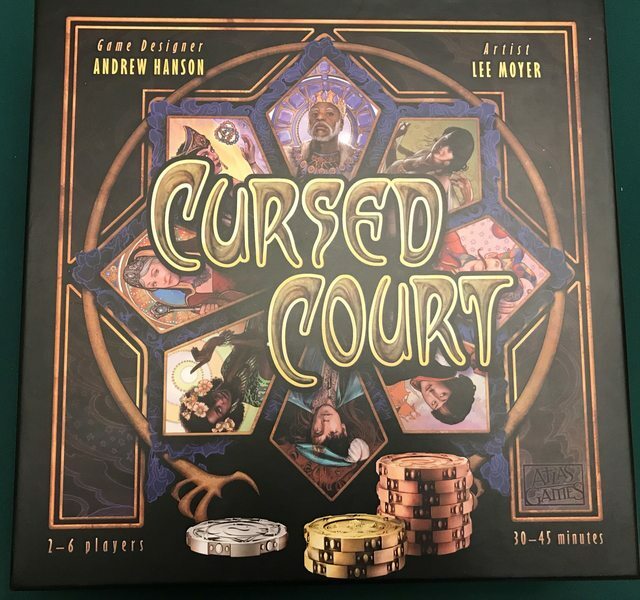 I hadn’t heard much about Cursed Court before getting a review copy of it, but I read the rules and it seemed interesting enough. Cursed Court is a bidding, betting, and bluffing game, with both hidden and public information. Think Poker without the gambling real money part, and with more theme. It plays 2-6 players in about 30 minutes.